Brand new townhome in Fishersville, VA featuring the best the Shenandoah Valley has to offer. With all one level living, beautiful mountain views from the subdivision, garage parking, and an open concept layout, this home is the definition of easy living. This two bedroom two bath unit has an open kitchen and dining room area with sight lines into the living room as well. The layout offers plenty of natural light, as well as hardwood floors throughout the main living area. The master bedroom has a beautiful, dedicated master bath in addition to a walk-in closet. The second bedroom also offers plenty of space and the second full bath and laundry area complete the floorplan. In addition, this home has an attached one car garage for convenience, as well as off street parking. Water, sewer, trash pick-up, lawn care and snow removal is all included in the property owners association. The Windgate Condos sit in a quiet, convenient location just minutes from I-81 and I-64, making commutes to Charlottesville, Harrisonburg, Roanoke, and Richmond very easy. Augusta Health Hospital is only about two miles away, and local area attractions include historic downtown districts, a community library, plenty of restaurants, shopping areas, and parks. With an owner’s association handling water and sewer, trash pickup, lawn care, and snow removal, you can take full advantage of low maintenance living. In addition, stunning mountain views can be seen from the sidewalks of the community. Some units offer an even more spectacular view from their deck and living areas. 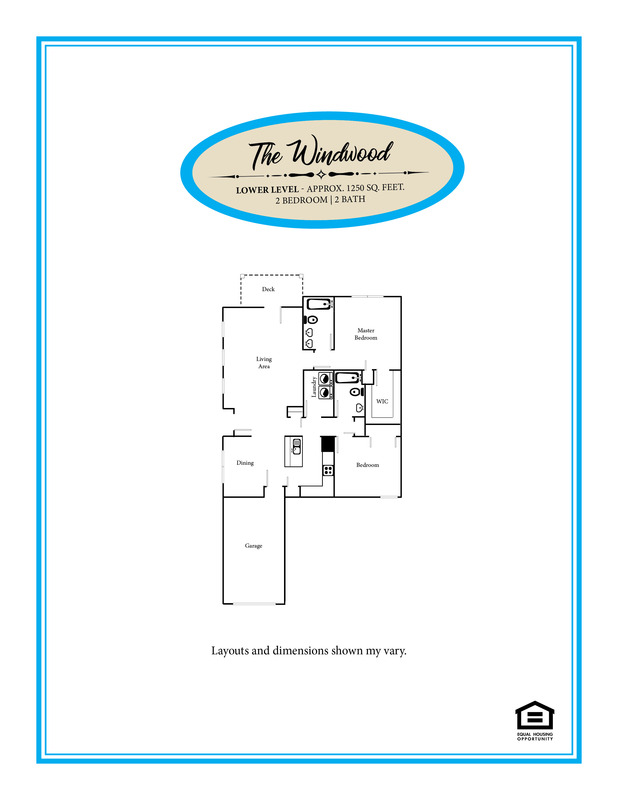 The Windgate Condos all offer a one or two car garage on top of additional off-street parking. Units are available for rent or for purchase with easy owner financing available, and we even consider trades to make your real estate transaction as simple as possible. This is an Equal Housing Opportunity.